On the completion 0f 14th Rang Karyashala Theater Workshop will be held on 5th February 2019. This workshop is present by Rang Mastanney. 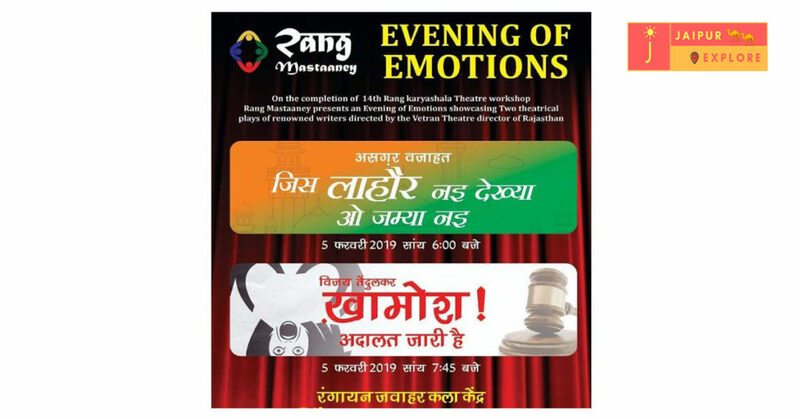 They present an Evening of Emotion and it will be showcase by the Vetran Theater director of Rajasthan.